Richmond has repurposed its . Hapa led open houses in which residents mapped the site, told Interurban stories and shared their vision. The master plan that arose out of the engagement process led to detailed design for the multi-use trail. The trail follows the route of the Interurban tram, with diversions to preserve bluffs of poplar and alder. The rail “switches” on and off of the tram alignment, in geometry based on railway sidings. Accentuating the new trail are over 500 new tree plantings. 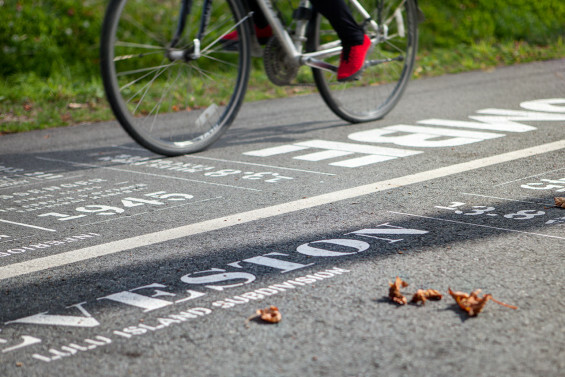 The Hapa team developed a coordinated graphic identity, including wayfinding signage and interpretation incorporated into the trail surface. Hapa’s role included master planning, public facilitation, direction of civil, transportation, environmental and communication design subconsultants, liaison with multiple City departments, and construction review. The trail was constructed by City forces, which entailed close cooperation between all parties. 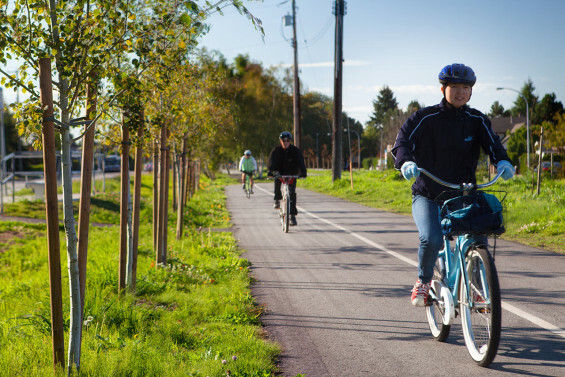 Richmond now has a city-wide and regional multi-use greenway that promotes walking, cycling and interaction, while capturing the Interurban’s story. 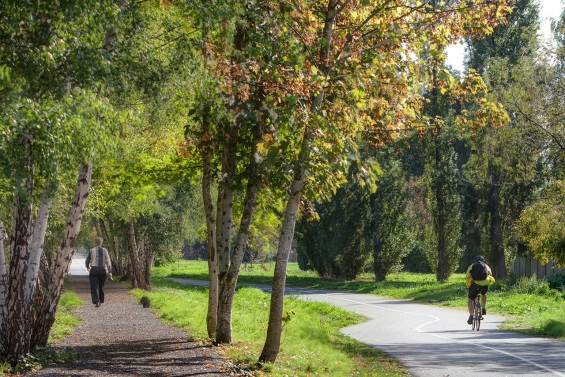 The City of Richmond has repurposed a 3.7 km stretch of the former Interurban Tram corridor, which connected Richmond and Vancouver from 1912 to 1958. 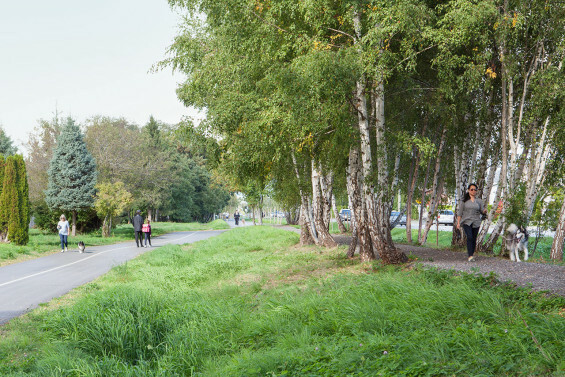 The Railway Corridor Greenway Trail celebrates history and provides significant new open space and a connective spine for the city’s west side. Hapa completed master planning in Phase One of the work, which included programming for the entire corridor. Phase Two focused on the alignment, design and construction of the multi-use trail. Hapa led the City and community in a series of open houses. An information session at the popular Steveston Salmon Festival, and the production and distribution of free buttonscelebrating the Interurban’s historic station names were two of the means used to raise support for the project. Residents were invited to join in mapping exercises in which they told Interurban stories and shared their vision for the greenway corridor. The master plan that arose out of the engagement process led to detailed design for the multi-use trail. The trail itself follows the route and rail embankment of the Interurban tram, with diversions to preserve bluffs of poplar and alder. Beyond their amenity and environmental value, the bluffs tell a story, as they sprung up along the tracks after the Interurban took its last trip. The rail “switches” on and off of the tram alignment, in geometry based on railway sidings. Alignment was coordinated across multiple City departments to place pedestrians and cyclists on equal footing with vehicular traffic. Accentuating the new trail are over 500 new tree plantings, which are arranged both in regular, street-tree-like lines, and in irregular groupings to augment the natural tree bluffs. Hapa and communication design subconsultant, Public Architecture + Communication, developed a coordinated graphic identity for Phase Two. 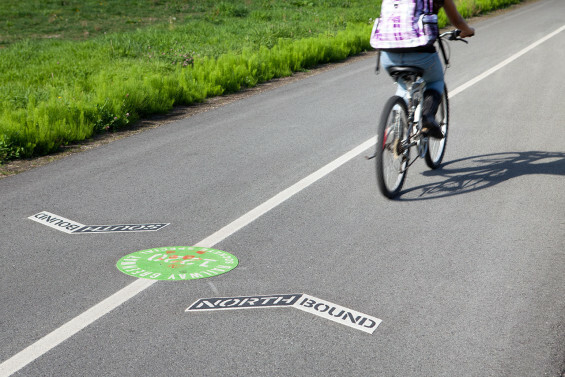 Elements include standalone wayfinding signage, and interpretive features incorporated into the trail surface. 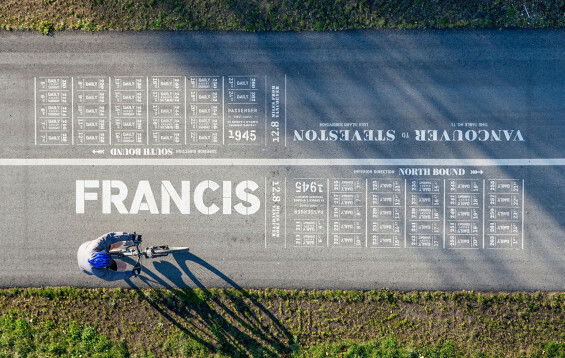 Large ground-plane graphics at the sites of tram station locations, based on Interurban tickets from the 1950s, celebrate the names of the vanished whistle stops. The overall graphic identity integrates with landscape, evokes the site’s history and provides necessary wayfinding, in an engaging, non-didactic manner. Hapa’s role included master planning, public facilitation, direction of civil, transportation, environmental and graphic design subconsultants, liaison with multiple City departments, and construction review. The trail was constructed by City forces, which entailed close cooperation between Hapa, park planners and construction crews. 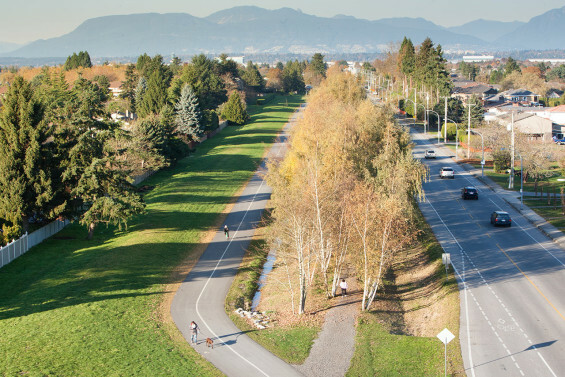 Detailed design and construction challenges included construction across compacted, impervious rail beds and deep, poorly drained peat areas, integration with existing roadway crossings and pedestrian connections, and trail alignment and construction to preserve existing trees. 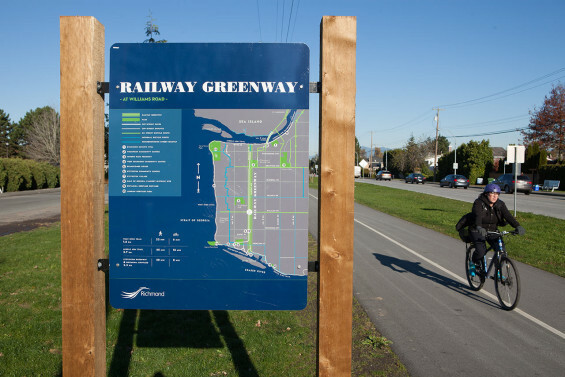 The Railway Corridor Greenway trail is a city-wide and regional multi-use connection between two of Richmond’s main trail systems, on the South and Middle Arms of the Fraser River respectively. With its completion, pedestrian and cycling connections for schoolchildren, transit users, community centre patrons and commuters have been substantially improved. 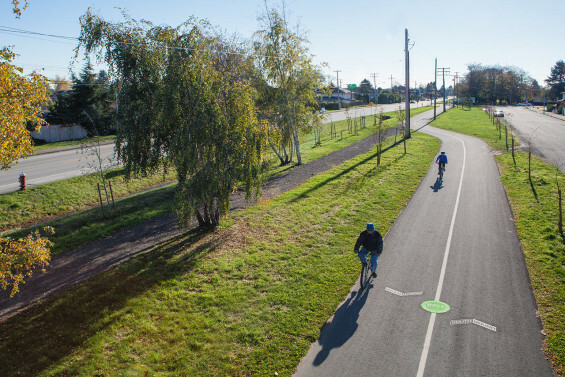 Richmond now has a greenway that promotes walking, cycling, play and social interaction, while capturing the essence of its Interurban story.